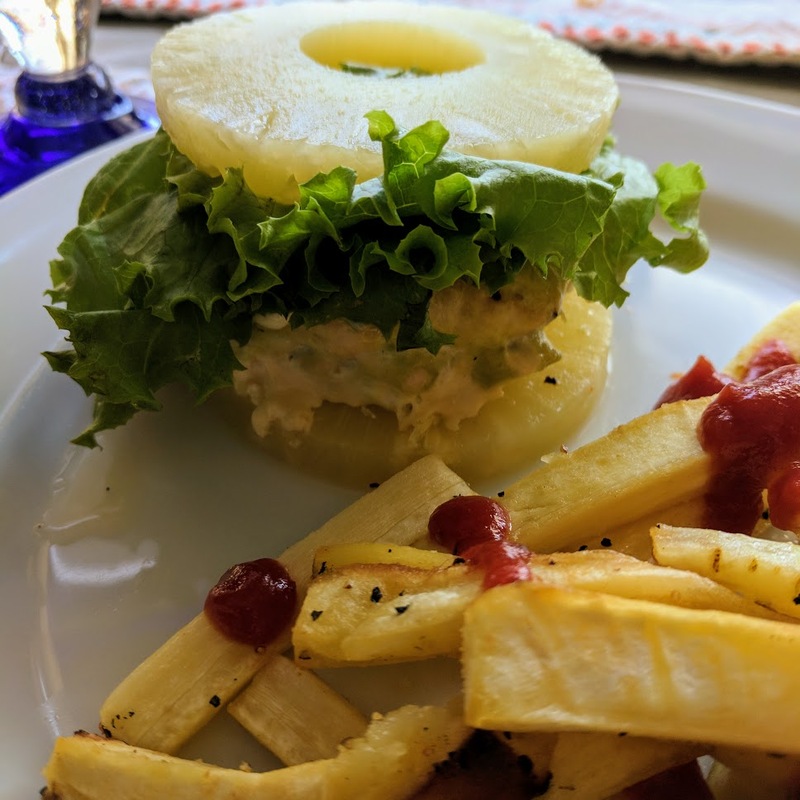 Who doesn't love a good luau or a burger with none of the "bad for you" stuff? Umm.... me. That is why this dinner is one of our favorites in this house. I love a dinner that one takes one pan and you can just throw in the oven and forget until that timer goes off. 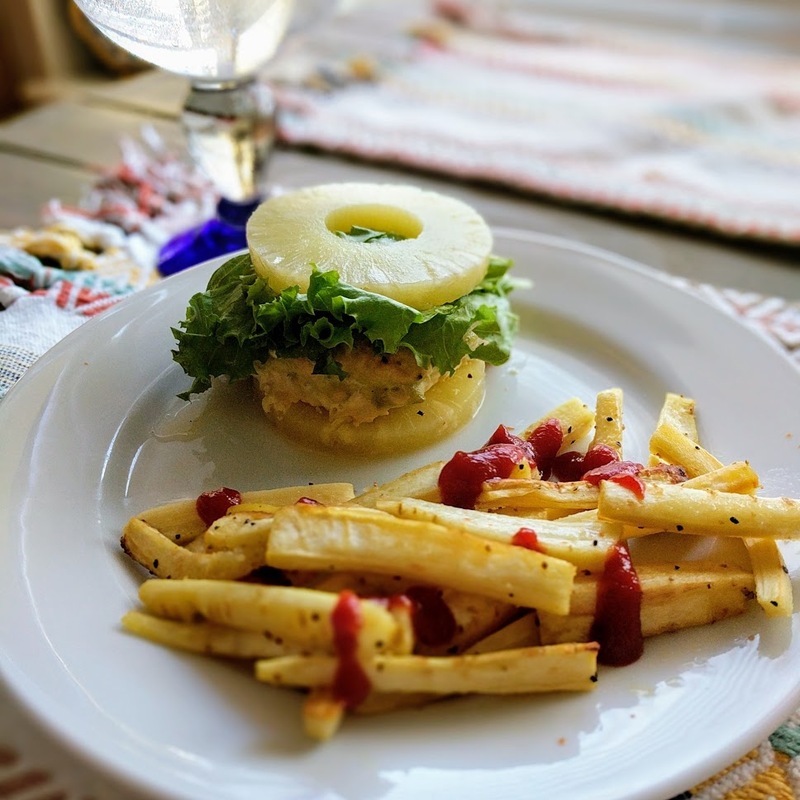 This recipe pretty much meets all my guidelines for yummy, easy, and kid friendly! This recipe: Paleo, Whole30, gluten free, dairy free, one pan meal, and under 30 minutes. Peel parsnips and cut into fry sized pieces. Put in a bowl with olive oil, salt, pepper, and garlic powder. Combine. Lay on cookie sheet lined with parchment paper. In the same bowl put the remaining ingredients (chicken, avocado, egg, salt, pepper, and garlic powder) Combine well. This takes some effort as the chicken is very dry. Form into four hamburger patties. Place on the same pan as parsnip fries. Put into oven and bake for 20 minutes. 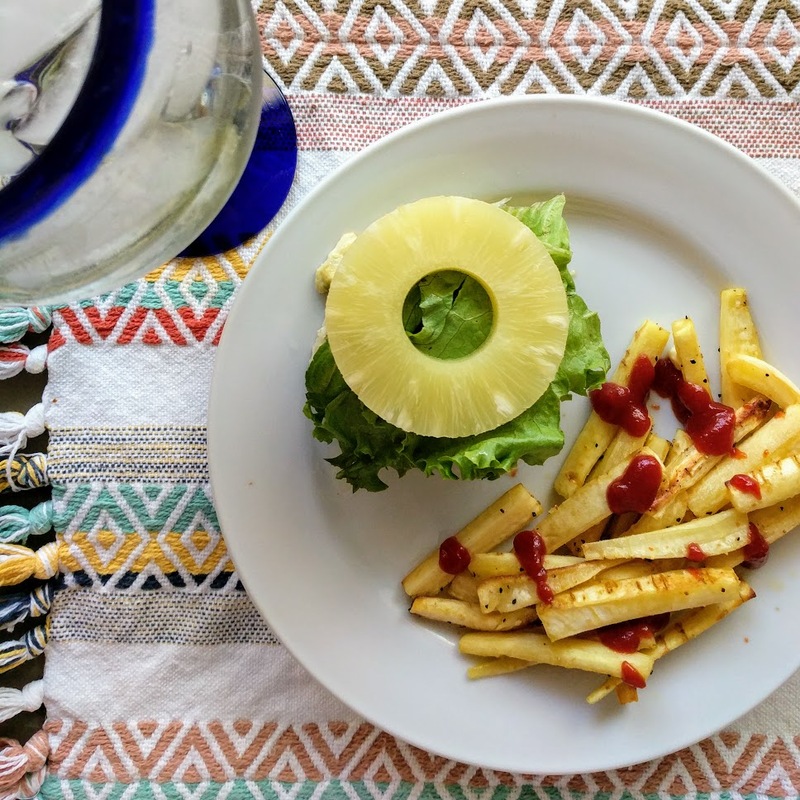 Once done use the pineapple slices as the "bun" and plate the fries. If you have a picky eater, go big with this one! Host a full blown luau. Make your hubby wear that awful Hawaiian shirt. Have fun with it! Eating is all about our senses. If you can get them to focus on other senses (i.e. the experience) new food won't seem so overwhelming.